Whilst Cage Cricket continues to expand around the UK, the Scottish Highlands is perhaps not the first place that springs to mind. In Oban, sitting above Loch Lomond in the west of Scotland, Cage Cricket is thriving amongst the community. The game was brought to the area in 2012 by Charmaine Gooding, and since then with the enthusiasm and passion of Lead Activator Ronnie Kelly, participation in Cage has exploded, proving to be a hugely popular pastime, even in the depths of a Highland winter. Based at the Atlantis Leisure Centre, Ronnie continues to run sessions for adults and children alike, promoting the game, developing physical activity and encouraging people of all abilities to participate. The initial ‘Come and Try it’ sessions proved so successful that summer camps and after school clubs soon set up, with the game showing its versatility and flexibility as it is played all year round game and both indoors and out. 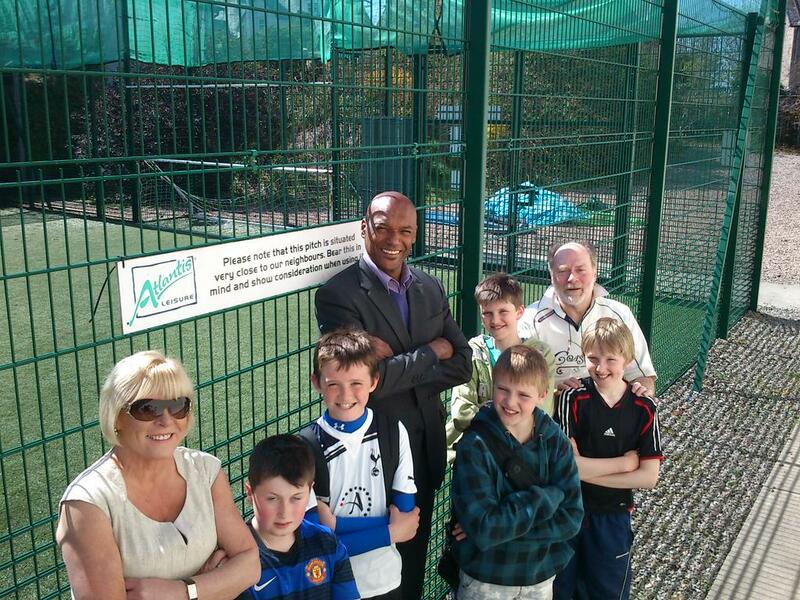 Colin Salmon, Chairman of Cage 4 All, has been pleased with the progress that has been made in Scotland, he said: “Oban is the perfect model for testing Cage. They’ve had some real success up there which is great to see. Cage is now an intrinsic part of the community with the cricket club using Cage as part of their normal training programme across the whole year. With the numbers participating and the diversity of ability and age, Oban is a fantastic example of how the establishment of Cage can significantly enhance a community.